Manhasset CASA, its sector members, and partners work to change the community conditions by which Manhasset t(w)eens misuse alcohol, drugs and tobacco. From adopting policy or law to participating in local prescription drug take back events, the efforts serve to provide long term reductions in teen substance misuse. 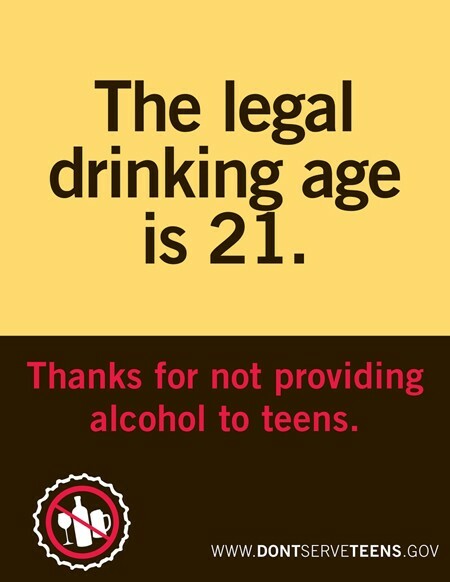 In response to Manhasset youth self-reporting increased access to alcohol via retailers, restaurants, bars, clubs, etc. (2015 Bach Harrison Prevention Needs Assessment Survey), Manhasset CASA offers local businesses who serve or sell alcohol, FREE-ONLINE Alcohol Training Awareness Program (ATAP) for their employees. 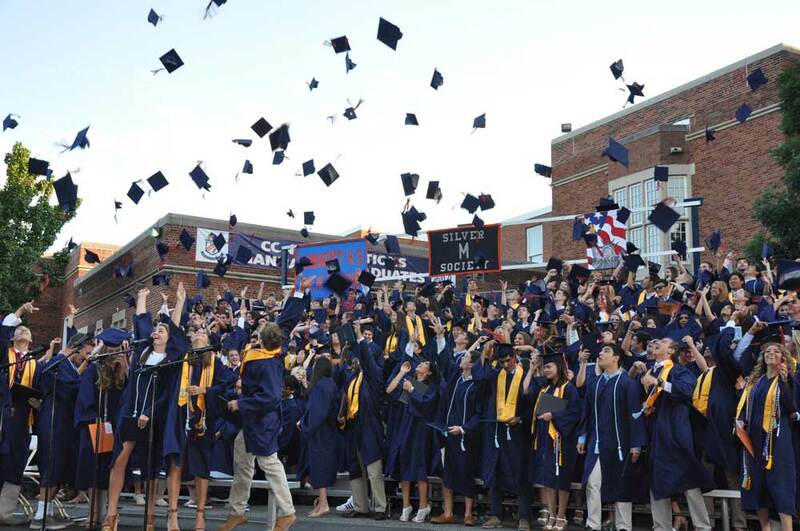 Manhasset Public Schools is one of the first districts on Long Island to have amended its school policy to address opioid prevention. The policy includes language under its Drug and Alcohol Policy defining student use of non-prescribed prescription drugs as an illegal substance. The district also requires its registered nurses (RNs) to be trained to administer naloxone in the case of an opioid overdose. 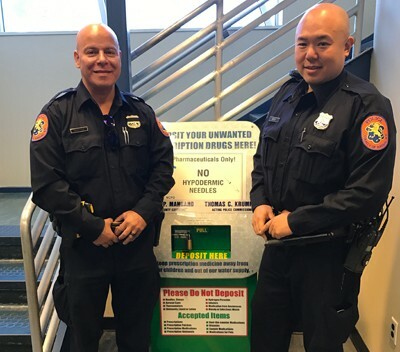 Nassau County Police Precincts provide Disposal Boxes in their lobby where residents can drop unnecessary medications 24 hours a day. Accepted items include prescriptions, prescription patches, prescription medications, prescription ointments, over the counter medications, vitamins, sample medications and medications for pets. Please do not deposit needles, sharps, aerosol cans, thermometers, ointments (liquid or lotion), hydrogen peroxide, inhalers, medication from businesses and bloody or infectious waste. 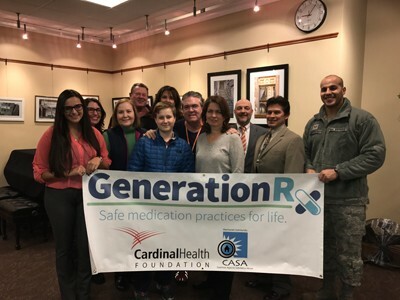 Click here to learn more about our Generation Rx Campaign and Fact Card which lists all county, local and city police department locations. 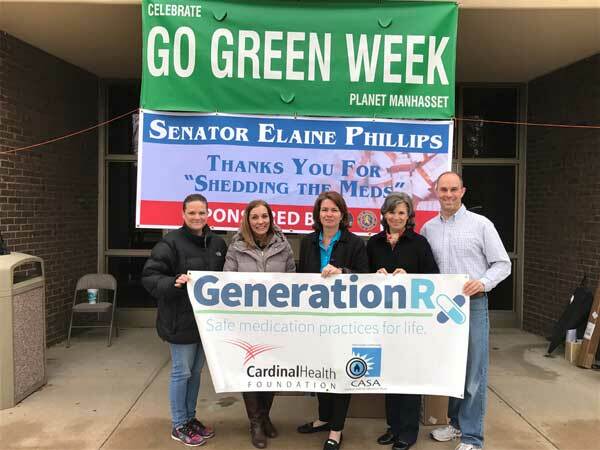 Manhasset CASA works with New York State Senator Elaine Phillips, in partnership with the Nassau County Police Department, to host fall and spring Shed the Meds programs for residents to safely dispose of unused or expired medications. The program is held in the fall and spring at Shelter Rock Elementary School where residents can drive up, drop off their old or unused medications, and drive away. Residents can bring any type of medication for disposal, however needles cannot be accepted. All collected medication is safely disposed of by officers from the Nassau County Police Department. Collaborating with Manhasset CASA, Manhasset Public Schools Board of Education adopted a Comprehensive Tobacco-Free School Policy in 2009. In an effort to address new youth trends, in 2015, the board amended its policy to include e-cigarettes and vaping devices as part of its commitment to support the health and wellness of MPS students. 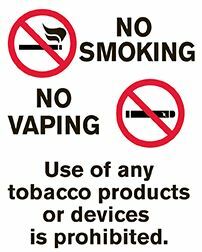 In addition, the Board amended its No Smoking on School Grounds policy to also prohibit the use of tobacco or tobacco products (including e-cigarettes and vaping devices) in all school buildings, on school property, or at school-sponsored activities on or off campus. The Town of North Hempstead continues to be at the forefront of municipalities that protect youth from the dangers of tobacco and e-cigarettes. They have played an important role in prevention by keeping teens and youth healthy and safe from the dangers of addiction and disease.